As we are from Belgium, it is our duty to promote our own beautiful country. 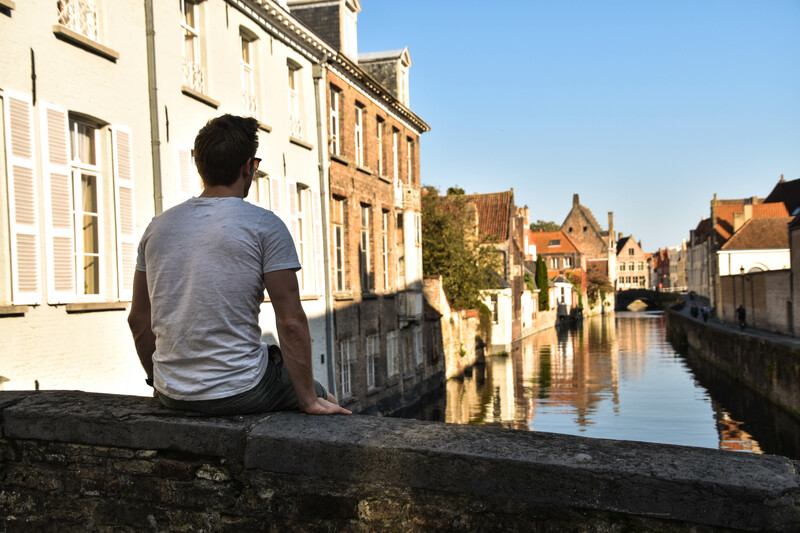 To start with, we want to show you why you should visit the romantic city Bruges that is also an UNESCO World Heritage City. There is so much to experience… sightseeing, shopping, culture, food and adventure. A nice way to see something of Bruges, is by taking a boat on the ‘Brugse reien’. It will cost you 8 euros for a trip of half an hour and it show beautiful spots of the city. You can’t come to Belgium and not eat chocolate. So, go to ‘Katelijnestraat’ and taste those mouth-watering chocolates. It will be impossible not to buy some. We loved the shop ‘Home Sweet Home’ and they have so many choices and they taste absolutely delicious. During the 13th & 14th century nurses have cared for pilgrims and other sick people here. Right now it is a museum with impressive arts, medical instruments and paintings from Hans memling, who was a patient in this hospital. You will not miss the 115-meter-high brick-stone tower of the ‘Church of Our Lady’. The church has an astonishing collection of art, including Michelangelo’s world-famous Madonna and Child. The Market and the Belfort are the popular tourist attraction of Bruges. In the middle of the market you can find the statues of Jan Breydel and Pieter De Coninck, who were the heroes during the resistance against the French in the battle of the Golden Spurs. There are a lot of nice restaurants and bars at the square. Sit down, relax, enjoy the sun, taste some delicious food and drink a nice coffee, while enjoying the beauty of the historical facades and buildings. This building was built in 1453 as exchange office for the famous family ‘van der Buerse’. Our Flemish term ‘beurs’ which means stock exchange in English was originated here. Between the 11th and 13th century Bruges has grown from an international commercial town to a global world player. At Jan Van Eyck square, ships used to anchor here and toll was collected. There is a reason why they call Bruges the Venice of the North. This is because of the small canals flowing through the city. For a romantic walk with the guy/girl of your dreams, this is the place to be. Between all the walking and exploring these beautiful places, you’ll need some ice cream to keep going. Close to the market, you will find an amazing gelateria with the best ice cream & waffles of the city! Bruges is very historical and has so many beautiful building and facades, that it is just fun to walk around. Hope you enjoyed reading about our fantastic daytrip in Bruges. If you have any questions, please let us know, maybe we can help you!